I'd provide, but I don't have a Wii anymore. Hope someone provides! Yep, I learned through Rocksmith! Ah man, I was counting on you! Eh, well, I did find some on Usenet. Forgive me it's been forever, how do you open DLC files, the ones with a 32 character filename. Is that a PIRS file or LIVE file? I'm trying to recall from my working's of about a year ago. This is an XBOX DLC, I'm not sure if you only have dealt with Wii files. AAA-2 Season 5 Overall Points Champ & Playoff Runner-Up!!! @ComicBookGuru Where were you getting this information from AerialX and GameZelda, were they discussing on another forum? I'm looking to extract chart information from the games, not interested in the audio aspect as this thread is intended. This should still be possible even though there's a hash, that just means it is seemingly impossible to inject custom data into it. Any help would be great...I know it's an old topic but, would love to finally nail this one. I talked to GZ here and kept up with Aerial in #RawkSD on Efnet. I don't know if he's still there, it's been quite a while since I've been in the room. How did you extract the MIDI data from the FSGMUBs? 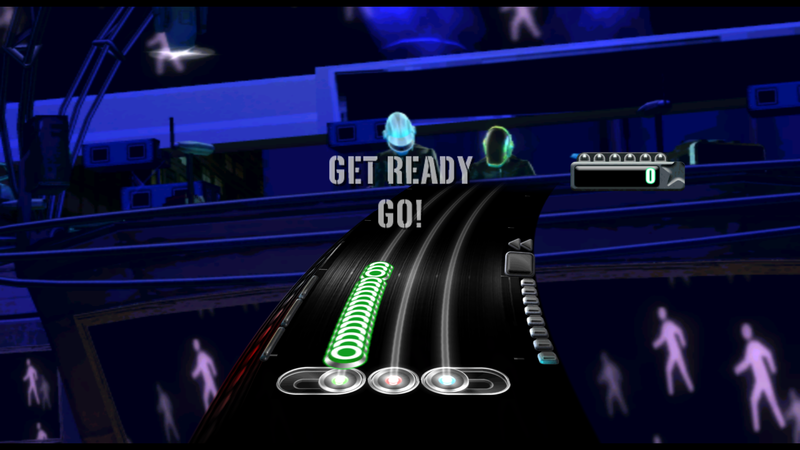 I'd appreciate any help getting the MIDI data out of DJ Hero: particularly for the 10 Guitar Mode songs. Thanks. I am sad no one has helped with this. I'd really like to get the data extracted from this game. the only person who could help you is LocalH and I believe he already has the data but not seen this thread yet. OK thanks. I will try to contact LocalH. I know I'm a bit late to the party but I saw this last week and quickly wrote a converter to MIDI. You can view the source on GitHub and download the latest build on AppVeyor. I also added support for converting xmk files from Guitar Hero Live but I have not tested it on the same files from DJ Hero 2. Note that the BPM is not encoded in the fsgmub but is instead set in the song's XML file. Thanks for helping with this! Applying Sharktooth to a DJ Hero 1 song produces some MIDI files with some data in them, but I don't know how to interpret this data. Nothing jumps out as clearly being the Guitar Mode notes, although I see some parts which might possibly be the DJ scratching parts. Any suggestions? Also what program would someone use to manipulate MIDI files anyway? Hint: The guitar mode file is in a separate folder, in the TwoPlayer folder. Does not leave my sig until Chrisssss FCs TDWF on Hard Bass. Does not leave my sig until dramacomic FCs Indians on Expert Bass. @ataeaf=My Twitter. RB Accomps. GH Accomps. Nobody reads them. of COURSE it's doable, you ninny! Don't you cop out on me now! I figured out how to disable DJ Hero 1's hash check and loaded a test custom chart in DJ Hero 1. Does anyone still remember how to load custom audio into the game? Props to the Dolphin team for having a nice debugger, and props to pikminguts92 for the documentation on the fsgwub format. *Enable loading custom charts by disabling the game's chart integrity check. To be pedantic, the integrity check still happens, but I noped the instructions that would normally execute when the integrity check fails. Figured out how to load custom audio. Custom DJ Hero charts are now a thing, after 10 years.